Picochess @github reached over 2000 commits! I’m part of the picochess developer team. As you can see i committed in the last 2 years over 1,200 commits and concerning the github picture – see above – almost 20,000 new code lines. Also this webpage is now 1year old. So two celebrations in one. Following this (german) proverb “Don’t ever trust statistics that you haven’t falsified yourself” I have a good ranking in this github statistic 😉 Anyway, i always enjoy to do something for picochess. I also want to thank all the people outside, providing good ideas, tests, and even source code to let this project be as it is right now. Looking forward to a new history with another 2,000 commits. If all running well, i also expect a picochess v1.0 coming out end of 2017. Despite looking for people who can help me with the source code (you need to know python3), i’m looking for the following help areas. If you want to do something for the picochess community please contact me. record voices in various languages (german, english, dutch, french, spanisch, italian). Especially in french and spanish there is only Christina’s voice. test picochess. This works best, if you know linux abit. You need to be able to checkout the code. It would be also very good, if you have a Revelation 2 or an old dgt chess board for example a serial-only one, cause this hardware i don’t have. Even if you can’t fulfill these wishes, you can still be very important for me. Sometimes we need to test for a new engine, or just play alot of games to see if everything running well. I have provided my voice for PicoChess and shall continue to test your code on my Rev2 and DGT Pi Clock as I have been for some time now. 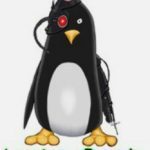 My Linux knowledge is improving and I really enjoy this Project and hope that I have also provided some useful ideas and help on the Forum. I’m also hoping to continue testing possible new Engines with DJ. congrat!! I really enjoy and I’m impressed about the performance. that would be great with spanish. Christina (from DGT) had a professional voice system, but standard recording is ok. You might take a look inside “talker/voices/es/christina” what sound files i need and see if y can help me. Its perhaps best, y send me a private eMail if y have questions or before y doing too much work. My eMail adr y can find on top of all py files (due to spammers, dont want to post it directly here).